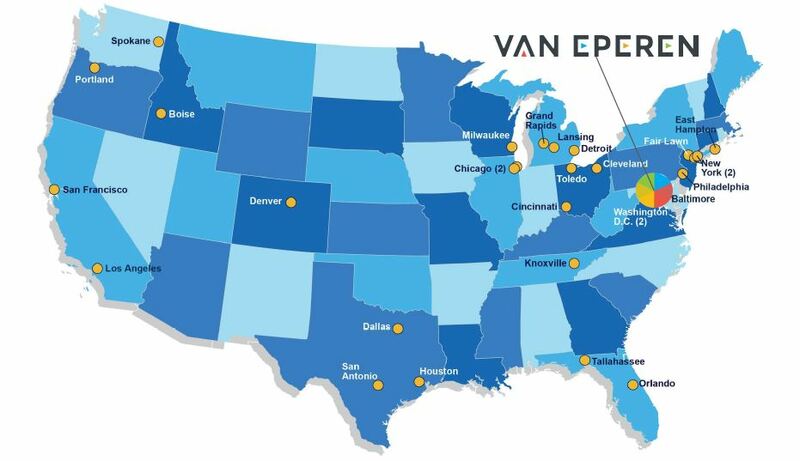 Van Eperen is now plugged into the most dynamic independent PR and marketing agency group in the U.S. – the Croft Society. When approached by my former boss, H. Carl Mueller of Mueller Communications, to learn more about the national network of like-minded strategic communications agency owners, it was a no-brainer for Jeff Davis and myself. We instantly agreed we needed this tight-knit network of colleagues to best serve our clients as their programs require ground support in various regions around the country. Click here to see a map of the location of our fellow Croft Society members, and where we’ve got clients covered with trusted partners. Each one has relationships with key audiences and influencers and can help you navigate through local nuances for efficiencies and results. Like many good professional associations, a huge added benefit to the Croft Society is the ability to exchange new ideas and approaches to our evolving field, share advice and insights from other markets that may impact Van Eperen in our offices in Baltimore and Bethesda, Maryland, and simply discuss war stories from the battlefield of PR/marketing communications agency life. The Croft Society offers us a new national network of seasoned pros, with an unmatched camaraderie, that we stand ready to offer our clients.